Penicuik Community Arts Association was founded in 1977 promote the arts in and around Penicuik. Come and visit our gallery, cafe, craftshop, perfomance/meeting rooms and garden at 2-4 West Street, in the heart of Penicuik. Penicuik Community Arts Association began in 1977 in this once-papermaking town ten miles south of Edinburgh overlooked by the Pentland Hills. Over the years we have built up a permanent home at 2 and 4 West Street, in the heart of Penicuik. Join us here and visit our gallery, cafe, craftshop, meeting rooms and garden. We also regularly organise events in the Town Hall (Cowan Institute) and other places in Penicuik, and our own building is used by local groups like the Bridge Club. 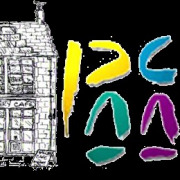 PCAA is a voluntary group, with co-operatives running the café and craftshop day by day. Marriott Edgar - &quot;The Lion and Albert&quot; Peter Macnab reads this funny poem of Scotsman George Marriott Edgar's, a talented performer, poet and writer.scriptwriter and comedian best known for writing many of the monologues performed by Stanley Holloway, particularly the 'Albert' series. In total he wrote sixteen monologues for Stanley Holloway, whilst Holloway himself wrote only five. Roald Dahl - &quot;A Hand in the Bird&quot; Sara Innes reads to us that black humour poem by Roald Dahl, a writer whose short stories are known for their unexpected endings and his children's books for their unsentimental, often very dark humour. George Mackay Brown - &quot;The Year of the Whale&quot; Sara Innes introduces George Mackay Brown, an Orcadian writer, who considered one of the great Scottish poets of the 20th century, and Peter Macnab reads us "The Year of the Whale"
W.B. Yeats - &quot;The song of the Wandering Aengus&quot; Sara introduces Yeats, the great Irish poet and one of the foremost figures of 20th century literature, and Peter Macnab reads us one of Yeats' most beautiful poem. Rudyard Kipling - &quot;If&quot; Sara Innes introduces Kipling, who was one of the most popular writers in England, in both prose and verse, in the late 19th and early 20th centuries, and Peter Macnab reads us his famous poem "If"
Intro to this collection of poems titled 'A Union of Poets' Sara Innes introduces this sequence of the Pentland Writers reading for the Radio, "The Spoken Word Spot". The poems are from the BBC's 1996 publication "The nation's favourite poems". PenicuikCommunity ArtsAssociation does not share this information.